Director of National Intelligence James Clapper has called Russia’s cyber-espionage capabilities the most sophisticated in the world. This week, U.S. officials showed that Russian President Vladimir Putin, a former KGB agent, still likes to engage in old-fashioned spying as well. But this time, his agent got caught. Acting United States Attorney for the Eastern District of New York Kelly Currie and Assistant Attorney General for National Security John Carlin announced Wednesday that Alexander Fishenko, a dual citizen of the United States and Russia, pleaded guilty to illegally exporting controlled microelectronics to Russia. He also admitted to conspiring to launder money and obstruction of justice. Fishenko, whom Carlin called “an agent of the Russian government,” was charged in October 2012, along with 10 other individuals and two corporations. Four of those arrested have already pleaded guilty, while the trial for three others is set to begin Sept. 21. Fishenko’s guilty plea could heighten espionage tensions between Russia and the United States. Putin took in NSA leaker Edward Snowden in 2013 after the American revealed the vast extent of American snooping around the world. Russian hackers also recently infiltrated State Department and White House computer systems. According to federal prosecutors, between October 2008 and October 2012, Fishenko illegally shipped about $50 million worth of microelectronics and other technologies to Russia from the United States. This included equipment often used in military systems like detonation triggers, radar and surveillance systems, and missile guidance technology. Russia does not make this kind of technology domestically, prosecutors said. Here’s how Fishenko’s scheme worked: In 1998, he founded Arc Electronics, Inc. in the United States, a company which claimed to be a traffic light manufacturer. He also served as an executive of Apex System, LLC, a procurement firm based in Moscow. Fishenko used his U.S.-based company to illegally ship technology to Apex, which then supplied the illicit goods to Russia’s military and intelligence services. 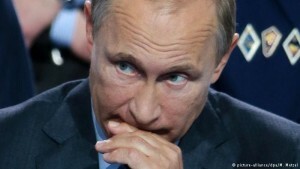 Prosecutors cited a letter from a lab linked to the FSB, Russia’s domestic intelligence agency. They said it proves Moscow’s spooks got their hands on the American technology: Namely, they complained that Fishenko’s equipment — routed through an affiliate of Apex — didn’t work properly. Fishenko, 49, is possibly looking at a lengthy prison sentence. He faces up to 20 years in jail for each violation of the International Emergency Economic Powers Act and the Arms Export Control Act, as well as up to 20 years in prison for obstruction of justice and money laundering conspiracy. In addition, he could serve up to 10 years behind bars for acting as a Russian agent. In June, the FBI arrested alleged Russian spy Evgeny Buryakov, who officials claim posed as a banker in the New York office of an unidentified Russian bank. He stands accused of working for Russia’s Foreign Intelligence Service to collect information on U.S. markets and financial institutions. 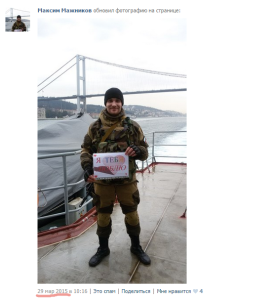 Standing against the backdrop of Istanbul’s iconic Bosphorus bridge, a young man in combat fatigues poses for a photo holding up a colorful sign that says “I love you” in Russian. He’s not a tourist, though. 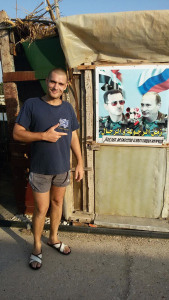 The man’s name is Maxim Mazhnikov; he’s a member of Russia’s 810th marine brigade; and he posted the photo to social media to document his journey to war-torn Syria. What Mazhnikov will do when gets there remains a bit of a mystery, but he is one of many Russian troops from the same unit that have been tracked via social media as they make their way towards Syria. According to a report by Russian investigative journalist Ruslan Leviev, growing numbers of Russian troops over the last two months have been sent to a Russian naval maintenance facility in Tartus, in western Syria. 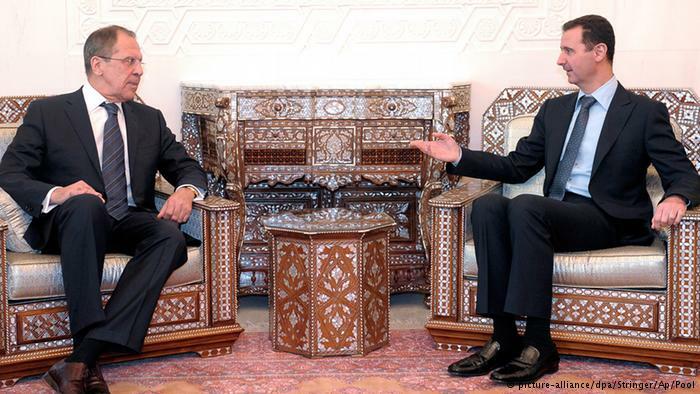 The apparent Russian military build-up there is sending alarm bells ringing in Washington, where the Obama administration worries that Moscow may be stepping up its efforts to help Syrian strongman Bashar al-Assad hold on to power. Leviev’s research, which relies on posts by troops on Russia’s two biggest social networking sites, notes a shift in the types of troops being sent to Syria, from draftees to experienced career soldiers. 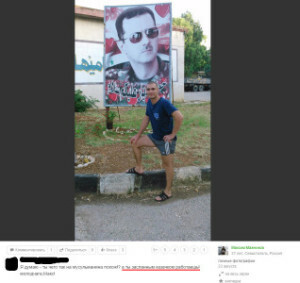 Many of the posts have already been taken down, but Leviev managed to track down several troops from Russia’s 810th marine brigade and monitor their movement to Syria through the photos and status updates they posted online. 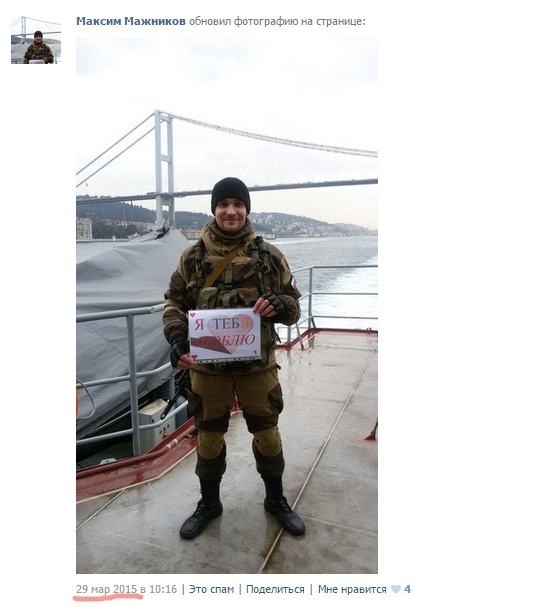 Photos taken from Mazhnikov’s profile on Odnoklassniki, another popular Russian networking site, show him in Syria at the Russian naval facility. The following photos were posted on Aug. 22, 2015. Leviev also found Anatoly Golota, another member of the 810th brigade on VKontakte, whose status says “Off to Syria”. Videos uploaded to the Internet in recent weeks have also sparked concerns that Russian forces are engaged in actual combat inside Syria. 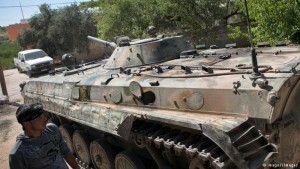 On Aug. 24, the Oryx blog, which monitors military developments in the Middle East and North Africa, pointed to combat footage filmed and posted by the media wing of Syria’s National Defence Force that showed a Russian-made BTR-82A armored vehicle near Latakia, in western Syria, with a color scheme used by Russian military units and not previously exported to Syria. As the armored vehicle is shooting in the video, orders can be heard in what appears to be Russian, raising speculation that troops sent by Moscow are taking part in fighting on the ground. Beyond the footage, however, there is little proof that Russian forces are engaged in Syria beyond their maintenance and advisory roles. Still, the influx of Russian troops, even if confined to Tartus, is indicative of the changing battlefield dynamics in Syria. Since the war in Syria began, the Kremlin has been a key backer of the Assad regime, supporting Damascus economically, diplomatically, and militarily. Moscow was instrumental in helping to negotiate the deal in 2013 under which Assad gave up its chemical weapons in exchange for the U.S. rescinding plans to bomb his regime in response to his gassing of his own people. The Kremlin has been supplying weapons to the Syrian government throughout the ongoing war, and Russia has also played a role in training the Syrian military, with Russia’s former Defense Minister Anatoly Serdyukov admitting in 2012 that Russia had “military and technical advisers” in Syria. Moreover, in October 2014, Syrian opposition fighters overran a joint Syrian-Russian listening center that was believed to be used for espionage operations. According to Anna Borschevskaya, a fellow at the Washington Institute and an expert on Russian foreign policy in the Middle East, Moscow is using the fight against the Islamic State to try to persuade the West to allow Assad to remain in power, something that Washington and its Gulf allies have said is a precondition for any successful peace talks. Should Assad abruptly fall, the Islamic State would likely benefit the most and could control even more territory in Syria. “This is central to Putin’s proposal on how to fight ISIS,” Borschevskaya told FP. Moscow put forward a peace plan for Syria that envisions enlisting Assad regime and Iran in the anti-Islamic State coalition, but rounds of negotiations with Washington and Riyadh have brought no visible results. Amid the uncertainty of the Syrian government’s longevity in the country, signs are pointing towards an even greater Russian presence in Syria — and the influx of more experienced troops, like those from the 810th brigade, to Tartus could be part of that shift. U.S. Secretary of State John Kerry expressed concern in a phone call to his Russian counterpart Sergey Lavrov over the weekend, saying that if the reports of a Russian military buildup were true, it could dramatically escalate the conflict. Kerry’s phone call came on the heels of a Sept. 4 New York Times report that Russia had sent a military advance team to Syria, as well prefabricated housing units to an airfield near Latakia where Russian humanitarian aid and military hardware have been unloaded. Lavrov told Kerry it was premature to talk about Russia’s participation in military operations in Syria, a Russian foreign ministry spokeswoman told RIA Novosti on Monday. Still, Lavrov confirmed Moscow’s military commitment to the Assad regime, saying Russia “has never concealed that it delivers military equipment to official Syrian authorities with the aim of combating terrorism”. 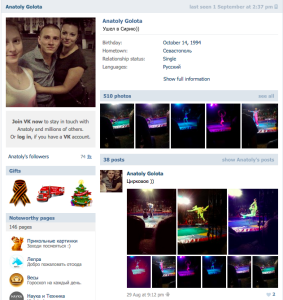 Photo taken from Maxim Mazhnikov’s Odnoklassniki profile. Hasta ahora las informaciones sobre una presunta expansión de la presencia militar rusa en Siria no se han podido confirmar. Sin embargo, expertos no descartan que Putin esté planeando una futura intervención militar. Desde principios de septiembre aumentan los informes de los medios de comunicación según los cuales Rusia aparentemente habría enviado tropas a Siria para apoyar la lucha del Ejército de ese país contra el Estado Islámico (EI). Sin embargo, hasta ahora estos no se han podido comprobar. 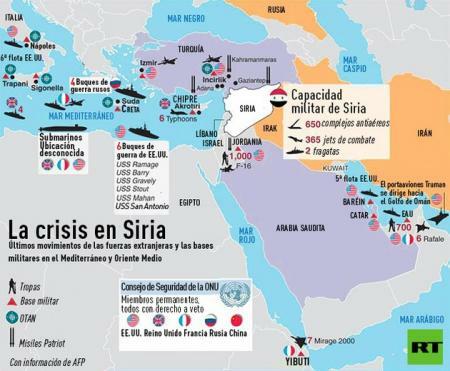 No es ningún secreto que desde hace décadas Rusia tiene presencia militar en Siria. “Es completamente normal que haya militares rusos en Siria”, dice Alexei Malashenko, experto en Cercano Oriente del Centro Carnegie de Moscú. “Los rusos están en Cercano Oriente desde 1955, ya que el Ejército sirio está equipado completamente con armas rusas, y estas necesitan mantenimiento”, explica. Los Gobiernos de Moscú y Damasco son viejos aliados. En el puerto sirio de Tartús, en el Mar Mediterráneo, Rusia mantiene una base de reparaciones para su Marina. Y desde el comienzo de la guerra civil en Siria en 2011, Rusia ha apoyado al régimen en Damasco suministrándole armas. Ahora, Moscú justifica su apoyo con la lucha contra el EI. El experto ruso Alexander Golz duda que Rusia esté interviniendo militarmente en Siria, pero no lo descarta para el futuro. “Puesto que en Rusia un solo hombre toma todas las decisiones, todo es posible”, dice Golz a DW. Una intervención militar solo tendría sentido si pudiera cambiar radicalmente el desarrollo de la guerra, pero actualmente Rusia no podría enviar suficientes tropas para vencer al EI en Siria e Irak, cree el experto. El ministro de Relaciones Exteriores ruso, Sergei Lavrov, y el presidente sirio, Bashar Al Assad, en Damasco (2012): viejos aliados. También Alexei Malashenko opina que una intervención militar rusa en Siria sería “un gran error”. Tendría pocas perspectivas de éxito y la sociedad rusa probablemente no la aprobaría, señala el experto. En la segunda mitad de septiembre, el jefe del Kremlin viajará a Nueva York. Desde agosto se especula en Rusia sobre un “plan Putin”, que el mandatario ruso anunciaría en EE. UU. Hasta ahora solo se sabe que Moscú pretende crear una coalición internacional contra el EI que apoye al presidente sirio, Bashar Al Assad. Si bien ya existe una alianza contra los yihadistas liderada por Washington, esta no apoya al mandatario sirio. Occidente exige la dimisión de Al Assad, haciéndolo responsable de la guerra civil en su país. ¿Fin de las sanciones a cambio de ayuda contra el EI? En los medios rusos también se especula sobre otro motivo del Kremlin. Según el renombrado periódico moscovita Novaya Gazeta, a cambio de su ayuda en la lucha contra el EI Putin esperaría concesiones en lo que respecta a la crisis ucraniana, ante todo, que se levanten las sanciones de Occidente. Asimismo, Alexei Malashenko, del Centro Carnegie de Moscú, cree que en primer lugar Putin pretende apoyar a su aliado Al Assad y no tanto combatir al Estado Islámico. “He decidido que Estados Unidos debe tomar acción militar en Siria”. Con estas declaraciones, el presidente de los Estados Unidos y Premio Nobel de la Paz, Barack Obama, abre nuevamente un cuestionable tópico en el mundo globalizado: El gasto militar y la actual crisis económica mundial. Mientras Rusia apoya al gobierno de Bashar Al Assad y exige que el gobierno norteamericano presente pruebas del uso de armas químicas contra la población civil siria, el Primer Ministro del Reino Unido, David Cameron, apoya la posición del presidente de los Estados Unidos, quien ha señalado que buscará la aprobación del congreso norteamericano para continuar con las acciones militares en Siria. 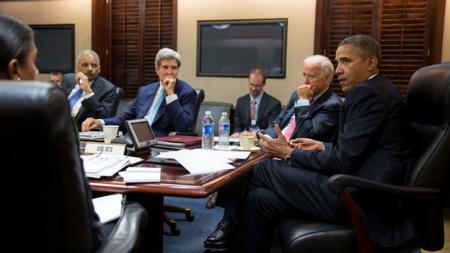 La orden para el ataque iniciaría con Obama, y sería entregada al general Martin Dempsey, jefe del Estado Mayor Conjunto de Estados Unidos y al secretario de Defensa, Chuck Hagel. 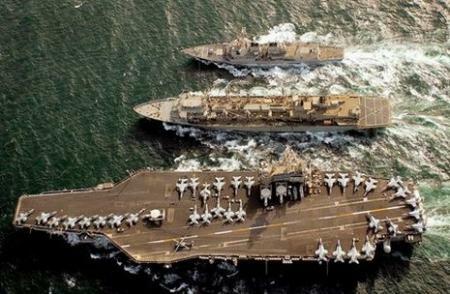 Los cinco destructores de la Marina estadounidense —USS Gravely, USS Mahan, USS Barry, USS Stout y USS Ramage— ya están en el Mediterráneo a la espera de la orden para atacar. La ONU ha sido dejada de lado en este tema pues los reportes de los agentes especializados en armas químicas demorarían hasta 3 semanas para ser revisados por el Secretario General Ban Ki-moon. En ese sentido, esta acción militar no tomaría en cuenta ninguna Resolución de Asamblea General ni del Consejo de Seguridad. El presidente de EE.UU., Barack Obama, afirmó hoy que ha decidido llevar a cabo una “acción militar” contra Siria tras haber dado por probado que el régimen de Bashar Al Assad fue el responsable del ataque con armas químicas del pasado 21 de agosto en la periferia de Damasco. Sin embargo, el mandatario estadounidense indicó que decisión se tomará en el Parlamento de aquel país. “Voy a buscar autorización para el uso de la fuerza en los representantes del pueblo estadoundense en el congreso”, sostuvo en una conferencia desde la Casa Blanca. “En total, más de 1000 personas asesinadas, gaseadas por su propio gobierno. Tenemos pruebas contundentes. Es un asalto a la seguridad humana. Es un peligro a la comunidad internacional. Amenaza a nuestros vecinos, aliados, Israel, Líbano, Iraq”, expresó. “Este tipo de amenazas deben ser enfrentadas”, subrayó. “No podemos y no haremos vista gorda a lo que pasó en Damasco”, afirmó el presidente estadounidense.